Some days we just wonder what goes through the minds of some folks. In this case we are trying to understand why a priest of any jurisdiction would begin harrassing nuns who were obviously there to simply venerate the relics of saints. Mother Evfrosina and another nun of the monastery of Novi Stjenik (True Orthodox Church of Serbia) were reportedly removed from a monastery in anger from the Joy of All Who Sorrow Cathedral, where the tomb of St John of Shanghai is located, by a cathedral clergyman, allegedly Fr Peter Perekrestov after refusing to venerate the cross in his hands. The nuns had apparently been praying at St John of Shanghai’s relics throughout the Vespers service at Wednesday, as well as customarily bringing notes requesting intercessions from believers and prayer ropes to give to others as blessings.They were apparently still praying before the tomb when they were approached by the priest demanding that they kiss the cross that he had held during the service. When they politely refused on the basis that he was a priest of the Moscow Patriarchate, he began to argue that they should kiss the cross if not his hand, and began yelling towards nearby parishoners that the nuns refused to venerate the cross of Christ, and further claiming they were an embarrassment to St John, “whose Cathedral it is”. Embarrassingly, the nuns were ordered to leave, which they did quickly. Upon considering for a moment, they decided to see if it would be possible to return for a few moments, upon which they discovered the doors from which they were escorted out were already locked. We are sure many are relieved to know that Fr Peter is there to guard the relics from “schismatic” folks praying there, so that the relics don’t because “schismatical” or anything. In the opinion of this writer, Fr Peter– whoever the clergyman in question may be– owes a few people (including St John of Shanghai) a serious– and public– apology for such incredibly poor hospitality. especially as a guardian of a temple with relics of a recent saint of our days. Politics should never trump a pious pilgrimage. While Father was lacking in Charity and Hospitality, I think the good nuns could have avoided much trouble by venerating the Holy Cross. To kiss a cross at the end of service with an MP priest holding it? You can’t take a blessing from MP priests if you’re TOC. So is it the position of every TOC that the MP is without grace? Saint John of S.F. never went that far when he was alive. This type of Super Correctness was cautioned against by Father Seraphim Rose, Abp Averky, and others. Taking this to the ultimate absurdity, we reach the point of some of the Matthewites who will not even greet someone not part of their “jurisdiction” on Pascha! If I make a pilgrimage to a particular temple to venerate the relics housed there, do I not have an obligation to be a good guest? If I venerate the Life-Giving Cross held by a “graceless” priest in the temple in which I am a guest, with a pure heart and devotion directed to the Cross do I excommunicate myself? Who will be judged more harshly? The one who venerates the Holy Cross with true devotion or a priest who attempts to bless without grace? I’m only an ignorant fool with no authority in such matters. Forgive me please. For an ignorant fool asking forgiveness, you sound a little angry. And prideful in what you *do* know. You state ever so clearly that St John NEVER stated the MP was graceless. Either you are ignorant of the practice or are sidestepping it: in Orthodox practice if a priest holds the cross to the people, you must kiss the cross, AND THEN THE PRIEST’S HAND. With all due respect, I have met a good number of Matthewites. My Diaconissa came from a Matthewite Church before joining us. While they’ve been nothing but respectful, some simply leaving the matter of clergy out of their jurisdiction to others, some discussing this point vigorously– I *have never* met a Matthewite who did not greet someone on Pascha. Occasionally I’ve heard they may not respond to the priest of another jurisdiction or start over (in which case they are seeing it liturgically)– but as many times as I have heard what you are describing said, I have never witnessed it, and I have been at a Matthewite Church on Pascha. They behave just as other True Orthodox do, eating red eggs and saying “Christ is Risen” in different languages. And True Devotion means avoiding the hand of those who attempt to bless without grace. Ultimately, had the proper form of the service been followed, they would have left the nuns alone, rather than attempt to tell them what to do. How does someone “sound a little angry” when they type? By kissing a cross at the end of service means you venerate the CROSS, nothing else. Remember, it is roman catholics who *imagine* something other than what they are actually doing. Never heard of Orthodox doing the same, except maybe western rite? By kissing the holy cross, they were NOT required to kiss the hand of the priest in question as per the article above! Also by personal experience at the same cathedral, my son had kissed the cross held by Bp. Kyril without kissing his hand. So there is NO requirement to kiss the clergymans hand, although it is protocol for those whom are in communion with one another or where there may be some doubt, etc.. I have witnessed Matthewites NOT respond to paschal greetings from others who are unknown, and I have seen Matthewites greet others who are unknown. YOu have a mixed bag, as just about with every other jurisdiction. “True Devotion”? Are you saying the nuns do not have “True Devotion” since they could have easily avoided the hand as per the article above? It is clear, they chose NOT TO VENERATE THE CROSS OF CHRIST! Ultimately, the proper course would have been to visit AFTER services, not to purposely *show* their holiness in front of all of the graceless people during their prayers. So if a Satanic Priest offered you a cross to kiss you would do it with no reservation? And it would not cause the least bit of problem doing so? And there is nothing wrong or looking bad at this? What right does a Satanic priest, or an MP priest (which are close enough) have to hold a Cross of Christ, both being servants of the Evil One? They chose not to recognize the authority of a Devil worshiping Satanic priest of the MP by saying he had a right to hold and offer blessing from the Cross of Christ. I would kiss the cross of Christ without reservation. No problem whatsoever. Nothing wrong or looking bad venerating a cross of Christ. We don’t have rights, we have obligations. They chose to make a scene, to distract when others are praying. They should have venerated the relics of St. John either before or after service. In actuality, they refused to “recognize the authority” of God, by denying veneration of His holy cross! The priest in question did NOT require the kissing of his hand, as he saw the great temptation of the nuns when they told him they were scandalized he was an MP priest! So, everyone knew the score, the next move was the nuns and they made the wrong move! They denied Christ in front of all of those devil worshippers, as you so put it. If that’s your understanding of TOC/GOC, then I am afraid your more of the fringe than you think. So you acknowledge that a false priest of a false church in league with Satan himself has the right to offer blessings by mockingly holding the Cross of the Lord. please show me where in the ROCOR’s confession of faith they openly profess “Satan himself”. If you cannot, then drop your accusation, as its sinful to make stuff up about people. It is not our judgement on those who are; “mockingly holding the Cross of the Lord”, as we should only be concerned about our OWN disposition when approaching the holy things of God! You give so much power to Satan and his minions, perhaps the baggage of your western faith before converting to Orthodoxy. Know this HmkEnoch, you cannot equal Gods power and might (Creator) with those of a fallen-angel (creature). Blessings come from God, not satan! You mean where ROCOR openly professes union with the Sergianist created false Moscow Patriarchate? And has open and full communion with all the other Patriarchates which profess heresies? They spit upon the memory of Met. Philaret who decried the MP as a false church and without grace. Does the Vatican openly profess to worship the Devil? Yet, who can deny that they have done more than any other entity, save the Communists, to attack and harm Orthodoxy. So, should the Vatican be labeled a true Church or a false church? If it is a false church, then, is it not a church of the devil, since Satan is the father of lies? Ergo, the MP is a false church as Met. 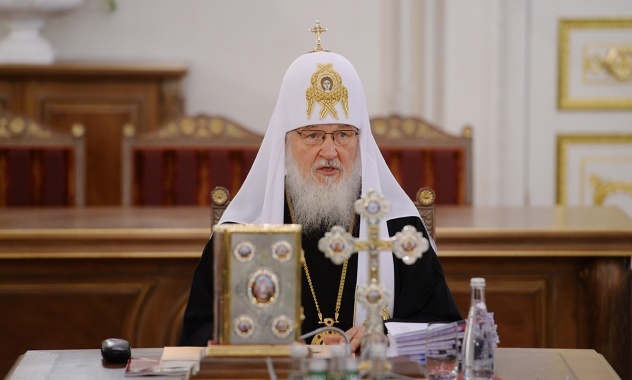 Philaret and the confessors who suffered in Russia under the persecution of the MP and Communists state; therefore, it is a church under the Devil, therefore, the ROCOR which joined with it is in union with said church under the Devil. It’s simple. 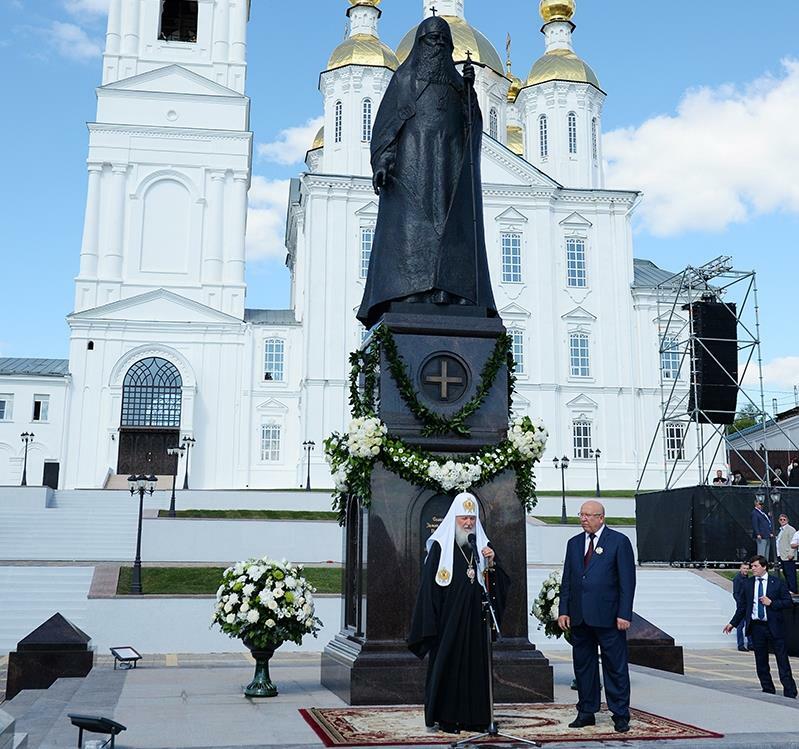 Satan is only as powerful as the people who submit to him, in this case, the ROCOR submitted to the Satanic entity known as the Moscow Patriarchate, and therefore, has given him power over them. that’s a good one, now its the people (creature) who give a fallen-angel (creature) power! ccel is not an Orthodox administered site. How can I be sure that the writings have not been tampered with? Phillip Schaff was a protestant. I am surprised you promote the works of the heterodox. Surely there is an Orthodox editor/translator of the same works? I’ve always found that argument faulty to a large degree. Translations being what they are, they should be reiewed of course, and approved. Most of the Patristic translations on CCEL, however, are decent. Your question “Surely there is an Orthodox editor/translator of the same works” presumes (a) a large volume of Orthodox translators as a whole (there isn’t) and that translations have to be “Orthodox”. If the writing is Orthodox, the translator only has to be *accurate*. After all, the approved “Orthodox Study” New Testament of your Episcopal Committee is the NKJV! So having official sanction is less important than textual accuracy. Point taken as to translator’s accuracy trumping belief. What about my original questions regarding the TOC/GOC position towards other Orthodox? Your last statement implies I have my own Episcopal Committee and or endorse said committee’s work, and that I use or accept the “OSB New Testament”. I was hoping to correspond and interact with the intention of better understanding the TOC/GOC. Having left the OCA for ROCOR, I have come to see many of the same attitudes and dysfunctional thinking beginning to emerge more and more frequently. Seeing the MP at the dedication of an Armenian altar causes me concern. The current ROCOR synod compares to the OCA synod of old where almost every hierarch had some questionable behavior whispered about in his background. I thought perhaps the TOC/GOC might provide a safe harbor. Thus far my questions have been met with more questions and accusations implying I am in collusion with “the devil worshiping demons of ROCOR-MP”. Forgive me for wasting your time in addition to my own. 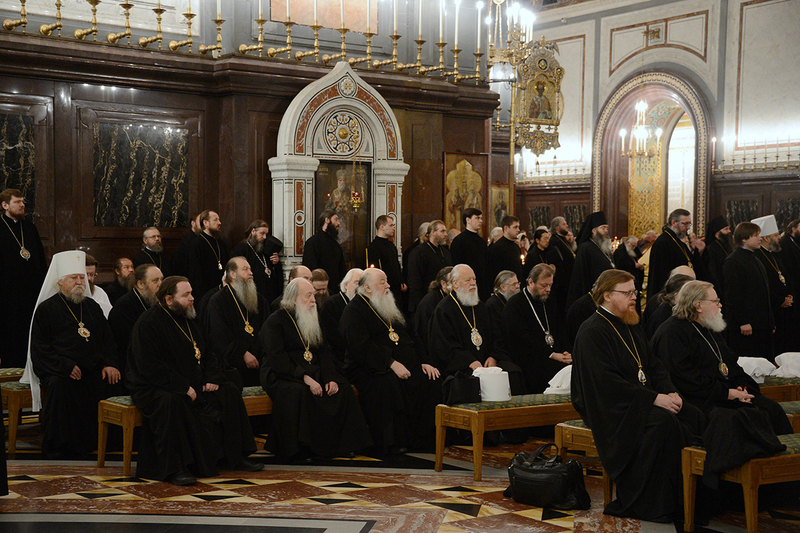 If you are in ROCOR-MP, your Bishops are in fact members of that same Episcopal committee. The reason the OSB isn’t used liturgically is practical: if they used it, it would likely start a riot in a lot of churches accustomed to Elizabethan-style readings. Sorry to have offended you. All the best for the feast. No offense Father. I am searching for answers. Maybe not answers, but solid ground and a clear path. Not a wide path, for I know the way is narrow. Please be patient– I have a lot on my plate then. Thank you! My apologies! I did not intend to give the impression I am in a hurry. Perhaps you would like the Greek text? Tell me what are the approved translation you like then? If I’m guilty of this, so are a lot of other folks, who constantly reference the translation. If an heretic does a good job at translating something, I have no objection. After all, Orthodox had to use the Hapgood edition for some time. Once again, you said the wasn’t requiring them to be blessed by him, right? Yet, know you say that blessings come from God and not Satan? But, i thought the idea was that they were not accepting a blessing from Fr. Peter if they venerated the Cross? But, now you say they are accepting a blessing by so doing, which is what they wanted to avoid, since they said this priest is a false priest. Since the nuns were simply praying at the tomb for a long time, and were there irrespective of this priest celebrating Vespers, yet he seems to have imposed himself and wanted to humiliate them by forcing them to recognize his authority as a priest, when they said he was a false priest! Then, if he wanted to avoid controversy, he could have simply place the Cross on the tomb of St. John, and let them venerate it like any other icon. But, that’s not what he did. He forced the issue, because he wished to cause problems, when they had simply been praying. how long were they praying at the tomb? I didn’t read anything about that in the article we are talking about. It says they were simply praying at the tomb while this Fr. Peter celebrated Vespers. Apparently, he wanted to insinuate himself and force them to recognize him. he doesn’t need anyone to recognize him, does he? I mean, he must of had a church full of those who recognize him. I know what the article said, that is why I asked you the question, because you had said they were “praying at the tomb for a long time”. So you admit to adding your own spin on the article above for effect purposes. You act more like a secular journalist instead of the monk struggling with his sins to gain the Kingdom. No, Michael, I don’t admit that. The article says they were praying at the tomb. Vespers is what? About an hour long or so? So, they were quietly praying, and then after he was finished, he started causing trouble. Oh yes, the “you shouldn’t be doing this arguing because you are a monk” argument, that is meant to basically shut someone up, and give an air of pseudo-piety to their pretensions. how quiet were they? Did they not move, do many prostrations, venerating the tome, icons, dipping their fingers into the oil lamp, etc.? Lets see, a group of nuns enters the satanic church (as you put it) to do what? What were they doing in a satanic church during service time? Did they think they were bringing the grace of God with them to fill the satanic church and devil worshippers? For one thing, you don’t know what Fr. Peter said or did, nor what he thought. What seems more reasonable is that Fr. Peter was holding the cross for veneration for his parishioners, and saw some quiet pious nuns venerating and praying at the tomb of St. John, so deep in prayer they lost track of where the church was in the Service, and to allow them to not miss out on venerating the cross of Christ, he approached and asked for them to venerate the cross. A nun said something to the effect that she didn’t want to kiss the hand of the MP priest, and so the priest seeing this temptation then offered the pious nuns to kiss the cross of Christ WITHOUT being required to kiss his hand, and they refused! Simple, they refused to venerate the cross of Christ. No big deal, we all make mistakes, but the thing about our realization of our errors is that we can correct them by the grace of God, and do His holy Will. Why didn’t the kind and loving and pious Fr. Peter simply set the Cross on the Tomb of St. John and allow them to kiss it there, without him holding it? If he was so caring about the possibility of temptation, Michael, why didn’t he just say, “I understand you don’t accept me as a true Priest, but, so you can at least venerate the Cross, and not have mixed feelings about me holding it, I will set it on the tomb, and you may venerate it if you wish, like any other icon. Forgive me for interrupting you.” But, no. It seems he wanted to run them out of the now captive temple of God. So did the nuns wrongly attend the Vespers of the schismatic and heretical? It was my understanding that they went to pray at the tomb. If vespers was going on in the ROCOR-MP church, I’m not certain how much of a concern it would be to them. I would say little, theologically. It’s a big cathedral. They weren’t attending at all. The tomb is on the side in the sanctuary a little ways from where people are celebrating under a canopy. And counterfeits come from satan, not God. Why couldn’t the false mp priest have simply set the cross down, instead of holding it himself? If the objection was to him holding the cross of Christ, and thereby acknowledge the authority of a false priest, why did he simply not put the cross on the tetrapod, icon stand, etc, and allow them to kiss the cross in that fashion, instead of demanding they accept him as a priest by kissing the cross with him holding it? The parishioners brought the priest over with a group of people. It was obvious what was going on. It’s a cathedral, and normally people come in and pray; not all are following the service. Stop pretending to make it about the cross. Change the word from “MP” to “Uniate” and see how ridiculous your argument is. the cross is the cross…now you see how ridiculous your comment is. So you’d take a blessing from the Uniates. AND you’re blocked. Now you see how ridiculous your trolling is. And why is this person blocked? I think he was making some serious remarks and placing serious question. You are not doing the OC-case, this page or for that matter yourself a favour blocking anyone who is not in agreement with you. Unless ofcause you want only “yes-boss” type of comments here. I’ll be frank. Occasionally I have to make a judgment call. The comments were increasingly rude and disparaging to True Orthodox Christians, particularly the subjects of the article. If the author would like to debate whether or not you should kiss a cross while not a hand of a priest you don’t recognize even though he’s holding it, that’s a separate and pointless debate. However, the author was repeatedly misrepresenting the nuns’ actions in a slanderous fashion (they did not “make a scene”, they were hounded by the MP priest and some parishoners until they were forced out, nor did they “attend the vespers”, but passed through as visitors to St John’s tomb, which last I checked isn’t in the center of the temple) and as I tried to explain that anyone holding a cross does not automatically require True Orthodox to venerate it as there are mitigating circumstances such as whether the person holding it is even an Orthodox priest. And in the end, he was becoming increasingly arrogant and belligerent to two people who run this website, who also happen to be clergy, while basically acting anonymously, and thus lacking the accountability of those to whom he spoke. I fully expect that some will find my decision problematic. I have been running NFTU long enough to live with editorial and moderatorial decisions I make. I hope that’s sufficient explanation. If it’s not, I’m sorry. I will update the comment guidelines to include trolling. This is a news site which focuses on True Orthodox Christian and Ecumenical news. If you are WO or whatever other religion, you have every right to think we are schismatic and awful or heretics or whatever other thing you’d like. And if you feel like telling us that anonymously without clear and logical justification over and over in the hope of a fun game of “gotcha”, then the guy who started NFTU almost 10 years ago has every right to block you. A blessed feast of the Exaltation of the Holy Cross. May you always be circumspect in determining where you venerate it. I dismiss anonymous posts in general. I could, Guest, since you made up this account one day ago and have only posted on this article, or I could block you. Forgive me if I am coming across as angry. That is not my intention. Nor is it my intention to condemn the holy nuns or the MP clergyman. I do not know for a fact that Saint John never stated that the MP was without grace. Yes, you judge me correctly, I am a prideful and arrogant man. Please forgive me, and please pray for me that I might learn to overcome my prideful arrogance. Let me start over please that I might understand more clearly. Please, tell me why not? Which TOC Bishops specifically teach this? Can you kiss a Cross at the end of Uniate Service held by a Uniate priest then? Or one held by a Nestorian priest? How can you take a blessing from someone that hold communion with heretics? Is it alright to take a blessing from a Melkite priest if he says he privately agrees with you on Orthodoxy, but he is still in communion with heretical superiors? Every TOC bishop. Call one up and ask if they teach it is alright to take a blessing from heretic priests. I am trying to learn. I asked questions, seeking answers. Perhaps you think I am not being sincere. I assure you I am. Yet, I do not get answers; only more questions. Do your bishops teach that it is a sin to take a blessing or venerate the cross held by a priest of the MP, or any of the members of the Episcopal Conference of N & Central America? Of course I would not kiss the cross at the end of a Uniate service or a Nestorian. I could not do so, because I would not be at the service at all. It is not allowed to do so, yes, that is what is taught. Neither side recognizes the other as Orthodox. But, the question is this: Suppose you were visiting a place in the middle east that has the body of an Orthodox saint. Suppose that this church is controlled by the Melkites. You go to venerate the body of the saint, irrespective of the Melkites not being Orthodox. You are praying at the tomb and the Melkites begin Vespers. Your concern is to pray at the tomb. After everything is over, the Melkite priest approaches you and demands you kiss the Cross and thereby acknowledge his authority to wield the Cross of Christ as a priest. Do you 1) Kiss the Cross in his hand and recognize his authority? or 2) Ask him if he could lay the cross on the tomb so you may kiss it without this problem? What if he gets irate and kicks you out? See, there are occasions like this, and they can happen. In this hypothetical situation, I would do my best to avoid making my pilgrimage during a scheduled service. I have done this in Rome and England many times. Service times are usually posted and/or well known in advance. If some service began, I would finish my veneration and quietly depart. Again, making a tour of Rome as a boy with my grandfather who was a Ukrainian Orthodox priest, he would quietly lead me by the hand and whisper that we cannot pray with papists and protestants. As an adult, my wife and I have done the same visiting Rome and England when we visiting the relics and shrines of the Saints of the pre Schism West. She is a convert from Anglo-Catholicism and has an attachment to the music, prayers and saints form the times of Orthodox England. When someone comes to our house, we are to treat them will all charity as if they are the Lord Himself. When we visit the house of another we are are obliged to be good guests, even so far as to break the fast if meat is the only thing offered, or if a refusal would hurt out hosts feelings. Sadly the relics of many of our holy ancestors are in the hands of non-believers or imperfect believers. To visit them, we often have to be extremely humble. I beg your blessing Father! I pray God blesses you and leads you to His Kingdom. I get your feeling of being a bad guest, and there are True Orthodox who in fact won’t go into MP churches at all, no matter what. But it is not the priest’s house. Until very recently the overwhelming majority of True Orthodox recognized it as God’s house, and see it as occupied. I certainly would grant that the nuns had bad timing. That said, they were likely on a very limited schedule (they were visiting from Serbia, and it was not to visit the Cathedral– it was something that popped up as they were nearby). But in the end, it is atypical for the cross to be brought over to any part of the Church for the blessing. Because the tomb is on the side of the cathedral, one would have had to spot the nuns, tell the priest, wait till everyone was done and walk over to make the demand. That in itself is odd. What happened afterwards is newsworthy. What the MP priest in question did was effectively play a trick to rouse those in attendance on a false charge of infidelity to the cross. It’s honestly embarrassing. Perhaps it would have been wiser to ask if he could put the cross down on the tomb to venerate it. However as we understand the parishoners were already quite incensed, and any chance of reasoned discussion were pretty much over shortly after both parties spoke. It’s a sin, but it could well be accidental. The proper way to see it is not so black and white as good and evil, since someone can sin with good intentions, but imprudent, as the canons make clear you can’t take blessings from those outside the Church. The simple and short answer is because the Church is what gives priests their spiritual power and authority. If you are part of a false church, you are a false priest. There are different ways to look at it, whether as “impostor” or a “fallen priest” or “graceless” or even “ailing” as the Synod in Resistance did, but the answer’s the same: he’s not a priest in good standing in the Church. All of them, though some phrase it more or less politely than others.